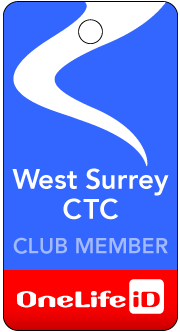 With a scheduled start of Godalming we feel that we have an early contender for the wooden crank award for our fellow rider who went to Guildford. We finally started from the roundabout where the A3100 meets Chalk Road. We doubled back on ourselves and set off for Selbourne via Elstead, Churt Arford, Bourdon and Blackwater. A distance of 34.5m, a reasonable speed of 12 mph and an average temperature of 14°C made for a lovely ride though the average temperature belied a large variation depending on the cloud and tree cover which made me alternate between being pleasantly warm and a little cold. Selbourne is a lovely coffee stop, friendly, great cakes and you can get the teapot filled up with hot water. But where is lunch going to be? Well we can go the flat route to Kings Worthy or the hilly route to Bishops Waltham. 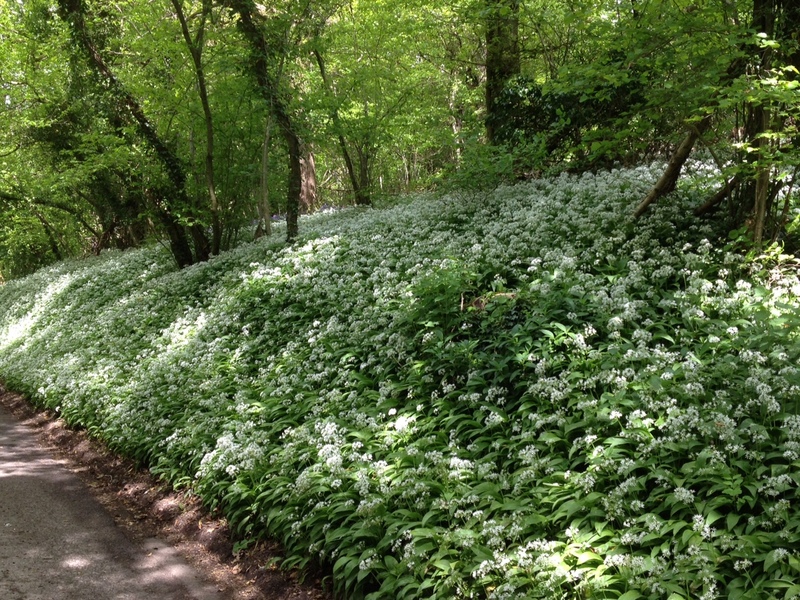 We were informed that we were going to Kings Worthy for the simple reason, as we found out, that the Captain has moved on from bluebells and now it is wild garlic that we must admire. If my limited map reading skills work, Mill Lane just south of Empshott is the place to go for a visual and olfactory treat. The nature watching part of our rides is definitely growing in importance. Have you head a cuckoo yet? No. Have you seen a few Highland Cattle on the ride? Yes. But flat this route was not. A few “bunnyhops” of severe gradients tested us. Heaven only knows what the lumpy route to Bishops Waltham would have been like. I recorded a total climb of 6,200 ft over the whole day. Last year we were doing 5,000 ft of climb a ride. I fear that the expedition to Corsica has led the Captain to refine his perspective on hills. The churches we passed en route are noteworthy for their architecture, one appearing to be in the Norman style with its round arch windows and dog tooth stone work and another showing some distinctive Early English simple four-centred arch windows and buttresses. A beautiful rose window caught the eye but I couldn’t tell you which church they were. Some lovely houses observed as well. After 24 miles, the garden centre in Kings Worthy provided excellent food. The sandwiches were of doorstopper dimensions and the cakes were good. Rain set in before we set out so jackets were donned and wishful glances made to see if it was going to be long lasting or a passing shower. Luckily it was not too heavy nor lasted too long. The ride home was 49 miles with a maximum of 40 mph just by freewheeling. The total ride was 107 miles. The joys of long days. 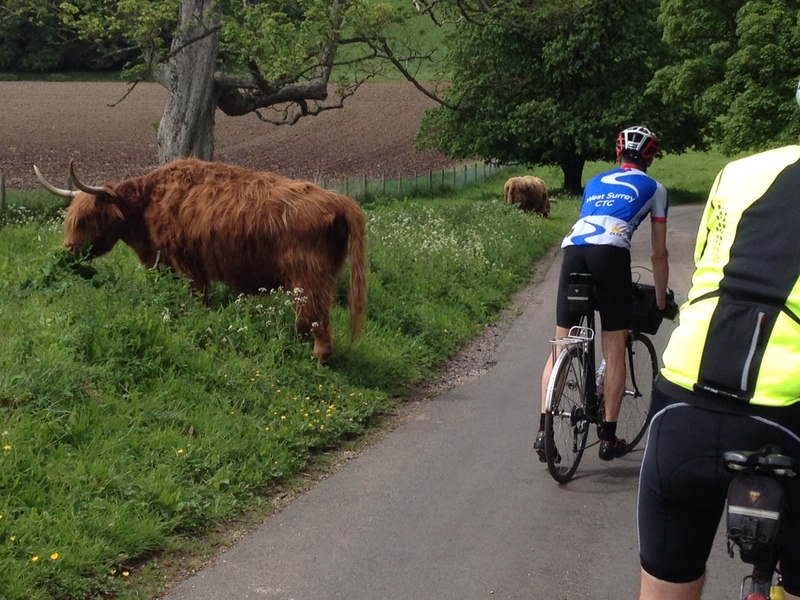 Julian – so sorry to have missed out on this ride, Selbourne is such an idyllic tea stop, but thanks to your blog, it felt like I was almost there without the pain! (Heidi on singing duties in Scotland; me family duties in Somerset). Glad you didn’t get too wet, I can vouch for the heavy down pours on the A303 on the way home. 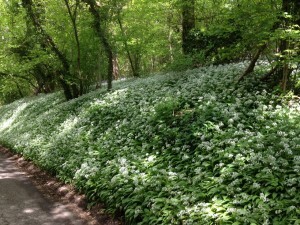 As for wild garlic plenty of that in Lyme the previous weekend. Hope to be back in the fold again soon – baaah!